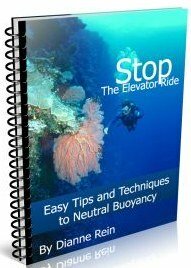 Ready to go scuba diving in Belize? Belize is rated one of the top dive destinations in the Caribbean, if not the world. And understandably so. It offers walls, reefs, wrecks, Blue Holes and everything in between. Take your pick. 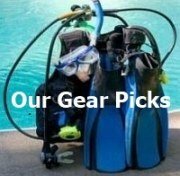 Below I will list some of the most popular dive sites. While all these sites can be reached whether you are staying on Ambergris Caye or Caye Caulker, I have separated them based on what island I was staying on the the time. Hey, I needed to use some system. Wherever you are staying, you are sure to enjoy scuba diving in Belize. I have to start with this one. The most famous dive site in Belize and one of the most famous anywhere. 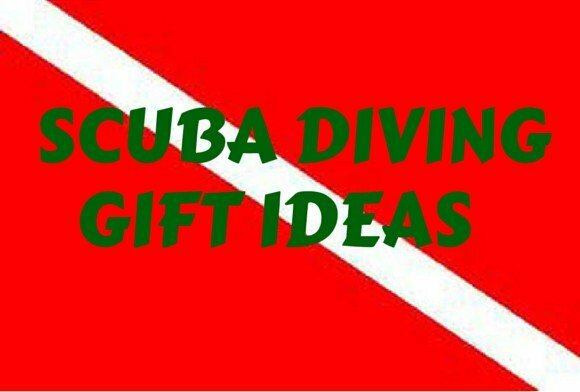 And, no, as I've told you on my main Ambergris Caye scuba diving page, we haven't been able to dive this site yet. We tried during out last trip scuba diving on Caye Caulker but no one was going out. Maybe next time we go scuba diving in Belize we'll be able to make it out there. The Blue Hole, which is located out in Lighthouse Reef Atoll, is about a 2 hour ride from Ambergris. So be prepared. You can expect to pay about $200-$250 to go out to the Blue Hole. There is a $40 park fee so confirm whether this is included in your price. This trip is usually a 3 tank dive (one at the Blue Hole) and includes lunch. 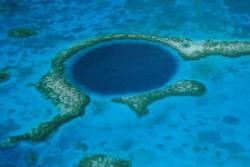 The Blue Hole itself is a limestone sinkhole and is an almost perfect circle as you can see from the picture. It is 1000 feet in diameter and about 450 feet deep. There is usually no marine life in the Blue Hole. You might see the occasional passing fish or shark but that's about it. The sides of the Blue Hole are sheer until you get to about 100 feet then you'll see stalactites and stalagmites and some huge overhangs. 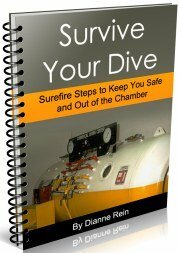 The maximum depth recreational divers can go is 130 feet. The water temperature at that depth is about 77 degrees year round. 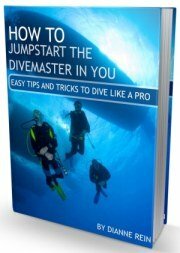 Talking to other divers about the Blue Hole, I usually get 2 responses. One is they absolutely loved it and it was the neatest dive ever. The other is pretty much, what's the big deal? There's nothing to see. As I have never dove it, I can't give my opinion. I will get there eventually. Unlike the Blue Hole, this dive site is just a few minutes from Ambergris Caye. It offers large canyon formations which divers can pass through. Lots of interesting formations, corals and sponges on this dive. 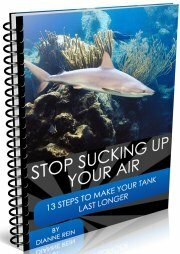 It'll keep you busy looking while scuba diving in Belize. The dive is typically 60-90 feet deep. My max depth on this dive was 83 feet. 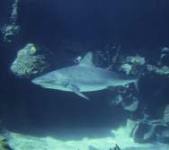 You can expect to see sharks, turtles, silversides, parrotfish, angelfish and much more. There was a nurse shark on the bottom when we were there. The divemaster went over and made it move. 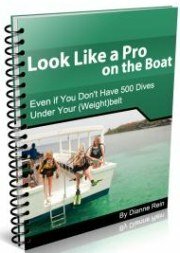 Overall, a very nice dive to do while you're scuba diving in Belize. Another popular dive site. This cargo ship was sunk on purpose and now sits in about 70 feet of water. I really liked this dive. There were lots of sharks here. At one point the divemaster held a shark so people could touch it (not the best thing to do). There was also a green moray that hung out in a hole on the barge. Lots of fish on this dive - groupers, snappers, etc. My max depth on this dive was 71 feet. Part of the famous Hol Chan Marine Reserve, which itself covers approximately 3 square miles. We did a night dive at a shallow part of the reserve. It is a very popular spot for a night dive. We saw octopus, lobster, rays, parrotfish, crabs and more. Lots of life out and about when we were there. It was crowded though with lots of dive groups out that night. Had to be careful and be watchful of all the boats out there especially since it is such a shallow dive. My max depth on this dive was 29 feet. Without all the traffic, it would be a good spot for a first night dive. Another famous spot is Shark Ray Alley. However, this is a really a snorkeling spot and not a dive site. Shark Ray Alley is where stingrays and sharks congregate when they hear the boats as they come looking for food. Just like scuba diving at Stingray City in Grand Cayman. We snorkeled this spot during a surface interval while we were diving in Hol Chan. Lots of nurse sharks and stingrays all over. They can get a bit aggressive but nothing too bad. An interesting way to offgas. 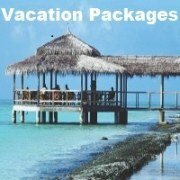 Wherever you go scuba diving in Belize while staying on Ambergris Caye it is bound to be good. It's pretty hard not to have lots of good dives here. 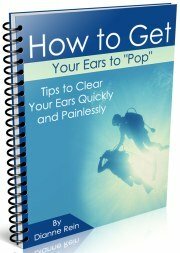 Hope you have a great time scuba diving in Belize!